Here’s an article that seems innocent enough, but we do not link to it directly. In this article, Intel seems to be expressing regrets about its race to the bottom, notably sub-notebooks. amd representatives said that amd is ignoring the netbook phenomenon for one reason: because amd is not able to compete in that market yet. And intel is even worse. Have you ever seen a company speak so negatively against a growing market that it has the monopoly in! Do you know why they’re doing that? More than a few analysts and investors know too. Intel plays down the sales and impact of the netbook for a different reason than amd: they play it down because their cheap netbook sales are cannibalizing their more expensive laptop sales. There is an important thing to note here. The reason behind the cannibalization phenomenon: not everyone needs newer faster processors regularly. In the past software has gotten slower with time, thus fueling the purchase of processors just to keep up with Microsoft Word and Microsoft Windows. That ground to a halt with the failure of Vista and the stagnation of the windows PC. XP still runs well on slower hardware. Circa 2003 speed hardware. Which happens to be the performance level of a $9 intel atom processor. Computers are becoming like toasters. You don’t need a hotter element to toast the same bread anymore. Yet for decades the chip companies have made their fortunes on the demand for more speed. So what does this mean today? It is the reason Intel doesn’t provide mobile dual core atoms. It is the reason they don’t provide pci-express slots on their dual core atom mini-itx motherboards. Because people replacing their fast expensive hardware with slow cheap hardware is very bad for business. And breaking the global illusion of needing more speed is even WORSE for business. So they have to put down the netbook. They are only good for an hour. Yes, very well said. The netbook phenomenon took the big boys by surprise, Microsoft as well as Intel. Tells you all you need to know about what they really think of innovation, which in their case seems to mean being anti-innovation if it threatens monopoly rents and their cosy ways of stratifying the IT market. Intel had a plan for Atom and it didn’t work out the way Intel thought. Rather than revise the plan (not least in the face of a severe recession) or count their blessings from selling lots of chips to netbook-makers – sales that have come from nowhere compared to even a couple of years ago – they whine. Still, others have gained from this, notably Asus which has come on hugely thanks to the EEE line. it is always the innovators that find great success in unfilled niches. the members of the status quo call this “disruptive innovation” because it causes them harm. the rest of us just call it innovation. If we’re talking about a market that only wanted desktop and laptop computers, then yeah the x86 ISA would be here to stay. It would simply cost too much money to create a competitive architecture and create the software base that consumers demand. But there’s a hitch. 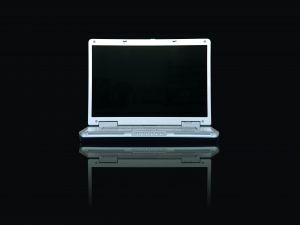 It is doubtful that many people go out and purchase a laptop or desktop computer because they want a general purpose computer. Rather, they want to buy a device that does something for them. That may be surfing the web, listening to music, watching videos, playing games, producing videos, doing accounting, programming software, or whatever. Once those needs have been met they start looking at other features. Yes, performance is one of those needs. But form factor is another need. When companies like AMD and Intel say that they aren’t going to focus on the netbook market or they portray it as some sort of fad, even though the market is clearly saying otherwise, they are really displaying an anti-consumer attitude. They are really saying that they know the needs of their consumers better than the customers do. Which is pure baloney. If they continue to display these attitudes, they will face the same problems that the behemoths of prior generations of computing faced. It doesn’t take much of a genius to figure out that there are entire classes of devices that use non-x86 architectures, of which Intel only sells a subset, and that those devices are becoming so sophisticated that they are starting to fill in some of the niches of the computer world. And it won’t take long until someone introduces one of these devices with a large enough screen to read comfortably on, and possibly a large enough keyboard to write comfortably on. It’s similar situation with Vista vs. XP. I cited a previous post where Mark Shuttleworth is quoted as saying that he had heard of $0 Windows. Office 2007 seems to be on the dumping as well these days (many promotional E-mails with sub-$100 licences). This is really quite interesting – it could be the trigger for something of a collapse of the whole business model. The need to upgrade just isn’t there anymore, and there are no compelling software reasons either. Sure there will always be the need for big number crunching or game playing boxes, but that was always just a niche, and the cash-cow of selling ever more powerful desktop pc’s to business who don’t need them just isn’t sustainable. Let alone all of the other fronts they are being attacked from (alternate devices). The whole rush to the bottom was interesting as well. First, the whole cheap-mini-notebook idea was a business opportunity that was never taken up for a reason – they couldn’t ever make a lot of money off it, and it would drag sales from elsewhere so probably lose them money overall. But they did it anyway to compete with the perceived thread from a new player who saw the cost of technology getting to the point that not only could it be done cheaply, it could provide a capable platform as well. So the consumer was first held back by a monopoly player who didn’t want to give them useful product because they weren’t going to make enough money on it, and then they through that all out of the window to try to crush a competitor. Funny how it comes back to bite them. Even more funny is how this fed into the whole vista/xp thing too. The technology and capability of machines has gotten to a point that nobody really needs to upgrade anything, particularly the os. I guess we should expect to see more articles along the lines of ‘users not satisfied with performance of netbooks’ that I recently saw, as the marketing machine gets behind trying to discredit them. I would be very weary of taking comments on websites as proof or support or anything Roy says, considering one of his entourage is a notorious Slashdot troll that operates more than a dozen accounts used to actively shill for this blog and his own comments. Who knows where else he plays these games. The link on my name contains more information, if anyone is interested. One of the reasons there is such strong opposition to “higher pricey, more performance” units is GNU/Linux/FOSS. It will run on just about any hardware. The WINTEL “charity killer” monopoly badmouthed, undermined and sabotaged OLPC (One Laptop Per Child), peddling lies continually boasting of their innovation. Intel ridiculed the XO, which was using the AMD geode chip, but that was because it was going to be an embarrassment to them at CES. Intel had nothing on hand that could compete in its class. Microsoft definitely had nothing that could run on the XO, as configured, for Fedora-based Sugar. Innovate or stagnate; they chose to be barriers to innovation. Whatever you may think of OLPC project, it was the real birth of the netbook revolution. Some bloggers and commenters have said these giant “innovators” of the industry had the resources to manufacture the netbook on their own. Judging by the initial Linux powered netbook success, they’re tripping over themselves to crank out their own XO counterfeits. Microsoft keeps choking progress, pulling back the reins of innovation, by dumping an 8 year old “trojanware OS” on the netbook. They have no way to shed the proprietary cost structure they’ve “innovated”. The current netbooks are rather close to what I, when asked, would be the the ultimate travel notebook — years ago. I’m seeing a computer mouse-sized puck, the Neo Freerunner, which has basically everything I want and more, except a 13″ screen, in a netbook. It runs on an ARM with GSM GPS, GPRS, Bluetooth, and wifi. The puck is a tablet computer just over 1cm thick. But if the components are spread out horizontally, the device could possibly be made 0.25 cm thick. Add another USB port or two, a decent-sized keyboard, more battery (or more nokia batteries) and a 13″ screen and *that* would be a real netbook.